Zora Neale Hurston and Marjorie Kinnan Rawlings seem destined to have grown close. 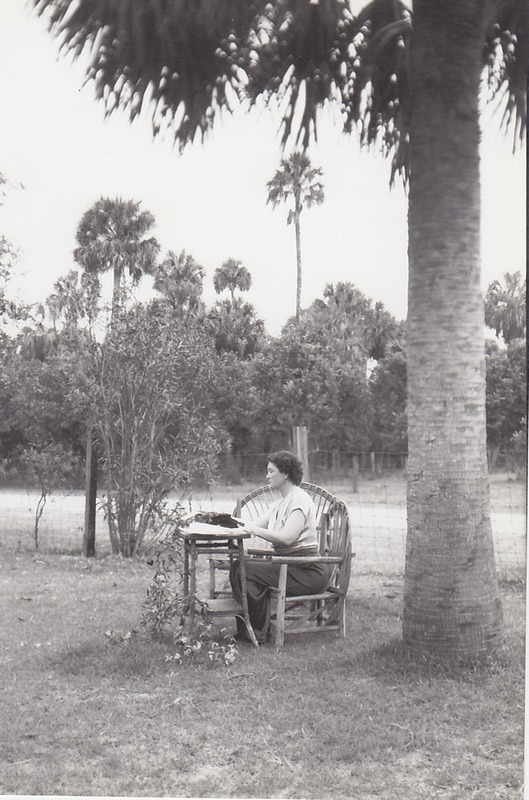 Both women wrote about the landscape and communities of their beloved Florida, and they each achieved fame in the 1930s when Hurston was awarded a Guggenheim Fellowship and Rawlings won the Pulitzer Prize. What’s more, they greatly admired each other’s work. Photo by Alan Anderson, courtesy of the Marjorie Kinnan Rawlings Papers, Special and Area Studies Collections, George A. Smathers Libraries, University of Florida, Gainesville, Florida. And yet, theirs was a deeply controversial relationship. Simple acts of camaraderie – sharing a meal, trading ideas, visiting each other – came up against deeply ingrained prejudices, rigid social norms, and even the full weight of the law. Hurston (the daughter of a former slave) met Rawlings (whose husband owned a white-only hotel) at a time when the Ku Klux Klan operated in parts of Florida and the ‘Jim Crow’ racial segregation laws were harshly enforced by the state. Despite these almost insuperable barriers, when Rawlings gave a guest lecture to Hurston’s students at the all-black Florida Normal and Industrial College, she was so taken with her host that she invited Hurston to tea the next day at her husband’s white-only hotel. Fear, prejudice, and conformity ran deep, however. Rawlings quickly regretted her invitation, telling her husband that she had ‘done something terrible’. They arranged for the bell-boy to whisk Hurston up to their private apartment to get her out of sight of their white guests. Their precautions proved unnecessary because Hurston, predicting that her presence might prove sensitive, entered through the kitchen and up the back stairs. Remarkably, such squalid moral compromises did nothing to hinder their enjoyment of each other’s company. ‘I’ve never had so much fun,’ Rawlings told her husband, and Hurston described Rawlings as a ‘sister’. Although their mutual admiration was assured, the ethical dilemmas didn’t stop there. When Hurston visited Rawlings’s country residence, for instance, they talked, laughed, and got tipsy together on her porch. But, when it became clear that Hurston was in no fit state to drive, Rawlings sent her friend to sleep out in the black servants’ quarters although there were plenty of spare bedrooms in the main house. Hurston – who grew up in an all-black town, possibly the granddaughter of a white slave owner – was adept at navigating the ‘Jim Crow’ laws, and did not seem to hold Rawlings’s racial cowardice against her. But Rawlings subjected herself to tough questions about her behaviour and, on a second overnight visit, she insisted that this time Hurston stay with her in the house. ‘I had to hurdle an awfully wide ditch!’ she admitted. ‘I was amazed to find that my own prejudices were so deep’. From then on, Rawlings fought against racial segregation whereas Hurston fought to write about subjects other than race. Yet the world they inhabited was not yet ready to hear them. Rawlings’s reputation dwindled when her editor failed to recognise the quality of her later experimental stories, and Hurston died a pauper, buried in an unmarked grave. This headstone was purchased by Alice Walker after she found Hurston’s unmarked grave in an overgrown and snake infested cemetery. Walker later published an essay about it in Ms magazine, leading to something of a renaissance in Hurston’s reputation. Photograph by Alan Anderson. Rawlings once threw a private party for Hurston. This month, we will host a Something Rhymed party. We’ll invite a few locally-based writers and supporters of the blog, and we’ll ask each of them to bring along one of their female writer friends. Find out how it goes when we blog about it in the coming weeks. We’re keen to promote positive representations of women’s friendship, so with this in mind we’ve just launched our #SomethingRhymed hashtag on Twitter with this tweet: Women’s relationships are too often seen as bitchy & backstabbing. Tell us about a time when a female friend supported you. We’d love to hear about your positive experiences of female friendship too. If you’re not on Twitter, but would still like to add your voice to the conversation, please do leave a message in the Comments section below. Loved this story of a friendship that survived despite its context. I cringed when I read of some of the ‘compromises’ of the friendship and wonder how Hurston could have forgiven those to still carry on the friendship, but its great that this caused a shift in Rawlings’ attitude to race. Thanks for commenting, Andrea. I agree that it’s very difficult to read of those ‘compromises’, but it’s fascinating to me how both writers reacted from there on in, and how the friendship developed from there. 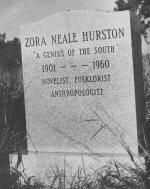 I love this blog, particularly as during my research for my novel I spent a lot of time reading Tell My Horse, an account by Zora Neale Hurston about the customs and lives of people in the Caribbean Islands, particularly Jamaica and Haiti. It was a wonderful book and she seemed like a very interesting person. The story of her friendship with Rawlings sounds interesting too. 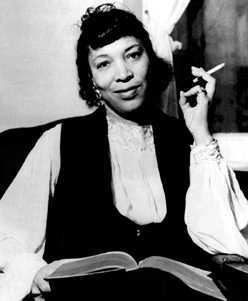 Zora Neale Hurston had a tough battle on her hands trying to break out with all the prejudices of the Jim Crow society. I really like the #SomethingRhymed hashtag too. Might use it on twitter now! Thanks very much for this reply and for your tweet, Susan. It’s really interesting to hear how Hurston played a part in the research for your novel. I haven’t read Tell My Horse yet, so thanks for that recommendation. All the best with White Feathers. I hope sales are going really well. It’s no. 2 in the charts in Dubray Books Grafton Street, so that’s encouraging. Thank you for your kind words, Emily. Congratulations, Susan. Coincidentally, the day before you posted this last message, I was looking at your book in Dublin Airport. The Zora Neale Hurston connection makes me even keener to start it. Beautiful cover, too, by the way. Not to deminish thier friendship..but Marjorie was from big cities and was already on the equality train when she got here..her beloved maids Geechee and Idella Parker were much more than household help..as well as motherly Martha Mickens..she marched right in the all white theatre with Idella and dared anyone to say a word, as well as paid for surgury for Idella demandimg the best care in Gainesville. Ms Rawlings was way ahead of her time in that department. Yes her stories are full of what we deem as racist now as far as grammar and some descriptions however all told lovingly without menace. She was a tough ol bird..and thats why Zora liked her. You’re quite right about the influence of these other women. We are particularly interested here in friendships between two writers, hence our focus on Hurston. But Idella did become a writer too, didn’t she, so I suppose that could have made a fascinating post too.